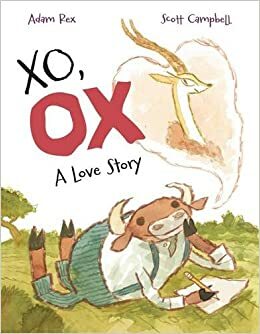 Summary: Ox has a thing for the beautiful Gazelle, and sends her letters expressing his admiration. His first two attempts are answered by identical form letters: (“Dear _Ox_, I hope you understand that I have many admirers and cannot reply to each one personally.”). Ox can only see the good in Gazelle (“This is an amazing coincidence! You have written back using the exact same words!”), and no matter how hard she tries to snub him, he won’t be deterred. When Ox replies yet again, this time with a photo, Gazelle, now completely frustrated, tears up his letter and picture. But then she pauses, gazing thoughtfully at the two pieces of the ripped photo. 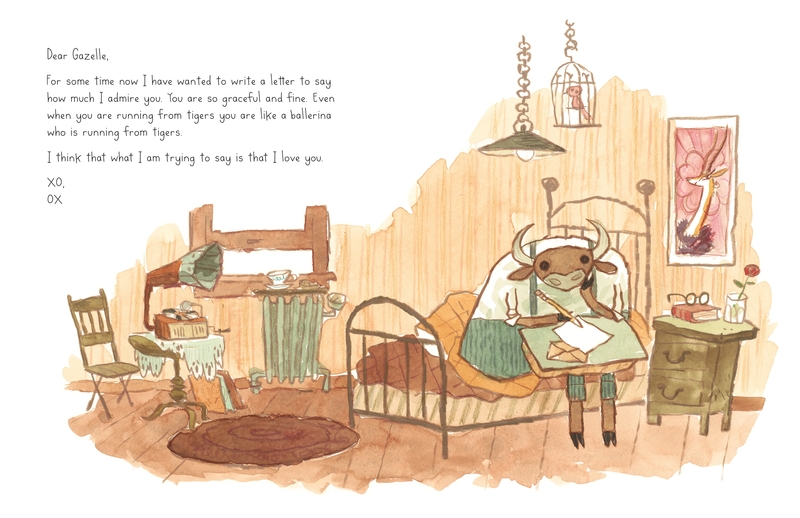 The final picture shows her sitting on her bed, taped-up Ox photo hanging on the wall, writing, “Dear Ox,”. 40 pages; ages 4-8. Pros: A tale of unconditional love, just in time for Valentine’s Day. Kids will laugh out loud, and will also enjoy speculating about what happens after the final page. Cons: The ambiguous ending may bother some readers. I did not notice this! I will have to get it out of the library again and see how the story ends.